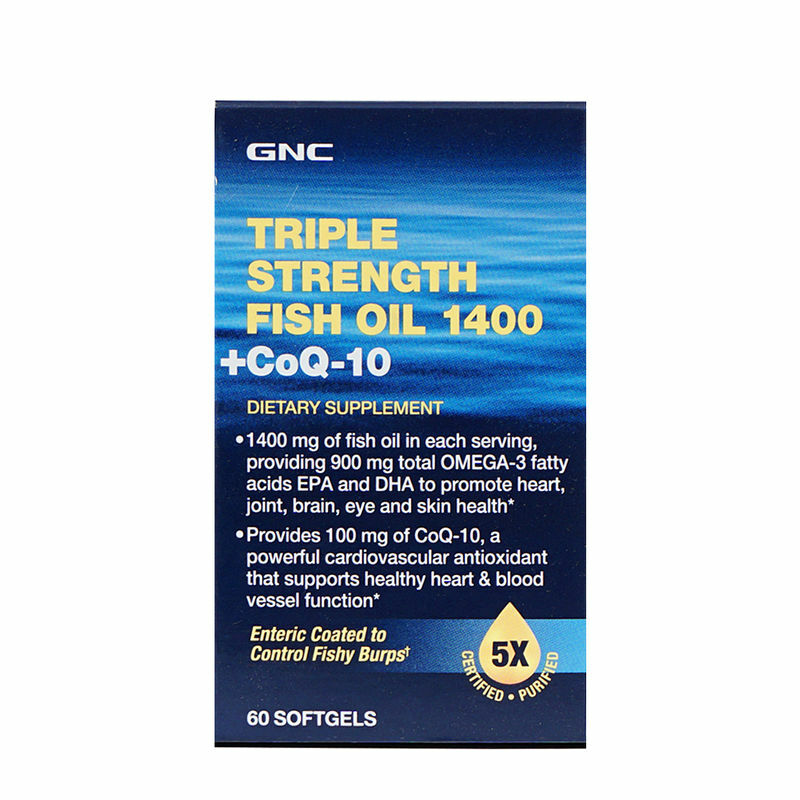 Stay healthy with the GNC Triple Strength Fish Oil with CoQ10 Softgel 1x60! Fish oils naturally provide the heart-healthy omega-3 fatty acids EPA (Eicosapentaenoic Acid) and DHA (Docosahexaenoic Acid). One enteric coated softgel capsule combines 100mg of CoQ-10 with 900 mg of omega-3 fatty acids; 647 mg of EPA and 253 mg of DHA. The enteric coating allows the softgel capsule to break down and absorb in the small intestine. This controls or reduces the fishy burps.